Chris Whitehouse founded the Whitehouse Consultancy in 1998. An active player in national politics, a senior figure in local government and a regular visitor to Brussels, he has wide experience at every level of public policy development in the UK and EU. Chris brings 16 years of experience working in the Houses of Parliament for MPs and Peers. Chris was an adviser for many years to the British Olympic Association, helping bring the 2012 Games to London, and currently chairs several national organisations representing private sector partners working with the NHS. 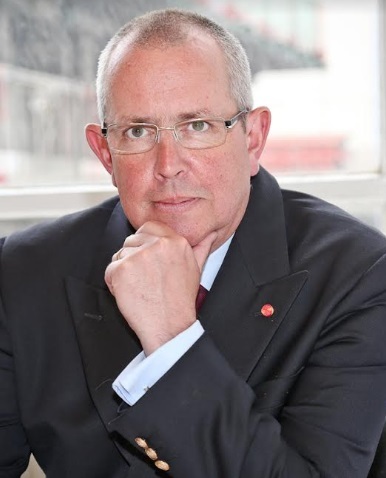 He also trained at the London Media College and the Hatch End Media Centre, has 30 years’ experience in dealing with broadcast, print and online media, and has devised, developed and delivered many effective PR and media campaigns for a wide range of clients. Chris served as Deputy Leader of South Bucks District Council, is currently a member of the Isle of Wight County Council and is qualified with distinction in Business Studies and Public Administration. I worked in the Houses of Parliament in the UK for more than 16 years for different Lords and MPs. When Labour won the General Election in 1997 I decided to set up a consultancy. Nearly 20 years on The Whitehouse Consultancy has gone from just me to one of the top ten public affairs agencies in the UK. Obviously Brexit is a major factor. It affects, or will affect, what many of our clients do, and we need to advise them of what the risks and opportunities are. We’re also seeing a lot of clients wanting project work as opposed to longer-term campaigns. And these can be really rewarding in terms of content, but also in producing an easily measurable result. Because clients are very, very savvy and expect both quantitative and qualitative measures of success. Again, Brexit is both an opportunity and a challenge. The referendum campaign, change in government and anticipation of what the UK negotiating positon will be combined to create a bit of a hiatus, and that’s also led businesses to hold off on some decisions until they understand what the direction of travel is. But it’s also an opportunity. Many of our laws come from Brussels. There’s a real opportunity for businesses to engage with policymakers and explain what’s going to make for the best trading environment in the future. The plan for the business was to utilise my experience in Parliament and knowledge of policy to help businesses and charities engage with policymakers, raise awareness of their issues, and influence decision making. As the team has grown, what’s become more apparent than ever is that the old days of British lobbying – smoke filled boys’ clubs based on networking with old school contacts – is dead. Contacts are important, they always will be. But British politicians are interested in what rather than just who you know. So the vision for the business has become very much one in which we help our clients build an evidence based case that ties into policy. Politicians continually hear complaints and requests they have to say ‘no’ to. If we can tie our clients’ messaging into government objectives, we’re more likely to succeed. Brexit is obviously going to be a major factor, and we’ve just launched a new microsite to explain the process and the implications for a number of business sectors. And, of course, we’d love to move a little further up the table of top UK public affairs consultancies. But fundamentally that means doing what we do already very well, as opposed to branching into areas outside our core expertise. We’ve extended our communications remit to include media work, crisis communications and reputation management, and those also promise to be profitable areas for us – but our work is always tied into policy. Fundamentally policymakers want to see well thought through arguments, so a clear evidence base is important and that’s helped us succeed for many of our clients. We’ve also built a very successful network of external partnerships over recent years, which has led us to run events at political party conferences, and speak at major industry events. We of course work to continually raise our clients’ profiles, but we also comment on political events and decisions ourselves – so our clients see our team for the experts they are. We had won in a very competitive environment a major American client in the specialist food sector. We had a brief to handle their public affairs work both in the United King and with the institutions of the European Union. We were really making fantastic progress in boosting the client’s profile and proactively engaging to shape the regulatory environment within which the client would need to operate. Suddenly, the funding dried up in America and we were cut adrift by the administrators of the business, owed a substantial sum of money for four unpaid months’ of work, causing a real cash-flow challenge. By injecting personal funds into the business, we kept afloat, but it was a worrying time. The learning points were clear. Don’t allow clients to get into substantial arrears, even if they are big brands; and have confidence in your own businesses’ future sufficient to invest your own funds to keep it driving forward when necessary. One of our great successes has been the length of time we’ve retained clients (some have been with us for well over a decade). Clients regularly come back to us when they have a project and are looking for specialist support. The reason they do that, or refer us to peers in their industry, is because of our approach. We make sure we are embedded within their teams; that we are continually providing them with timely insight and recommendations; and that we have clear strategies against which we can measure success. This means our clients aren’t responding to what’s in the news or just happened in Parliament. They’re ahead of the proverbial curb, setting the policy agenda. It’s important to recognise colleagues’ successes and achievements. We’ve always prided ourselves on providing members of our team with opportunities to grow in seniority and professional development within the business. And we have a very collaborative culture that encourages ideas from every level of the team. Be curious. Read as much as you can so that you’re informed. Go to events and make contacts. And learn what your peers in the industry are doing. Learn from their best practice. It will help your development enormously, and makes you so much more effective for your own clients.